Exceptional Location. Stunning Grounds. Impeccable Quality. Just a few ways to describe 226 Kilgore Circle in the established community of Kilgore Plantation in the heart of Five Forks Simpsonville. This home is truly a masterpiece. The pride of ownership abounds with the owner's taking on significant upgrades and renovations from the kitchen and master bathroom to the secondary bathrooms as well as the outdoor living elements with the sprawling screen porch with a wood burning fireplace and patio. 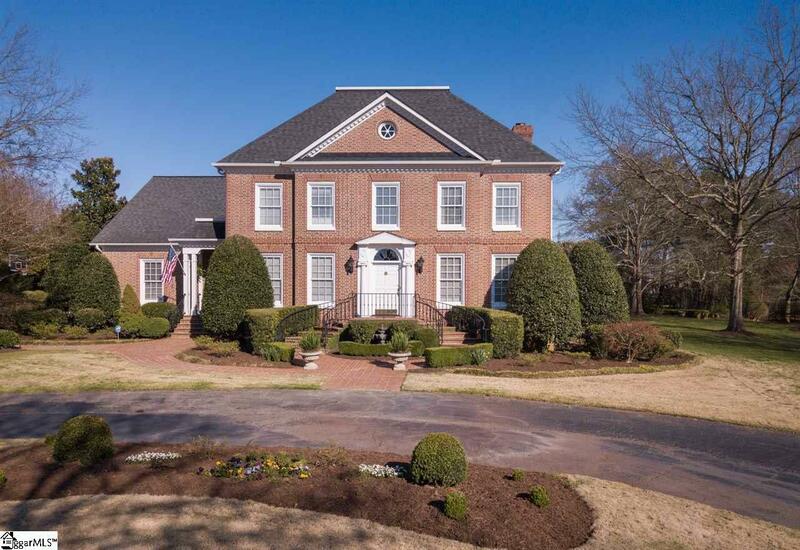 Situated on a 1.4 acre private lot with manicured grounds and lush landscaping, this Georgian style home showcases a unique brick pattern and gorgeous hardscapes at the front and rear elevations. The home features a 2-car attached and one-car detached garage with a breezeway, as well as a Family & Friends entrance. 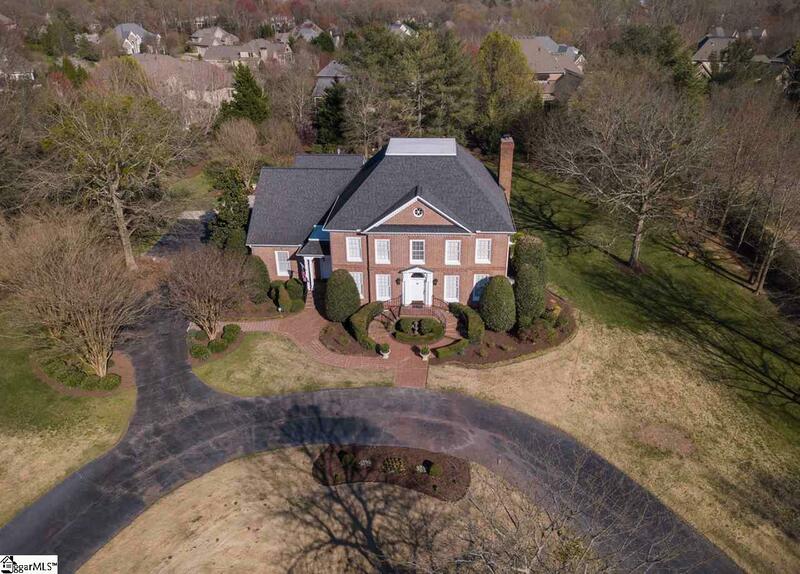 Theres no lack of opportunities for fellowship and recreation with not one but two bonus rooms as well as a well-appointed Great Room with richly stained built-ins and traditional fireplace as well as a wet bar. There is a large laundry room with a sink and updated finishes as well as a family half bath. And for guests, there is a second half-bath off the foyer and main entrance. The owner's retreat on the second floor offers a charming bedroom and a spa-like fully renovated bathroom with marble countertops, a fully tiled custom designed shower, custom vanity with outlets tucked away in the drawers, as well as a linen closet with dedicated zones for laundry and dry cleaning not to mention a gorgeous custom closet shelving system. The secondary bedrooms are all well appointed and large in size. Two of the bedrooms share an updated bathroom with two vanities with marble tops and a completely updated and fully tiled shower and tub. The third bedroom accesses the hall full bathroom.....again with all at the latest finishes and colors. 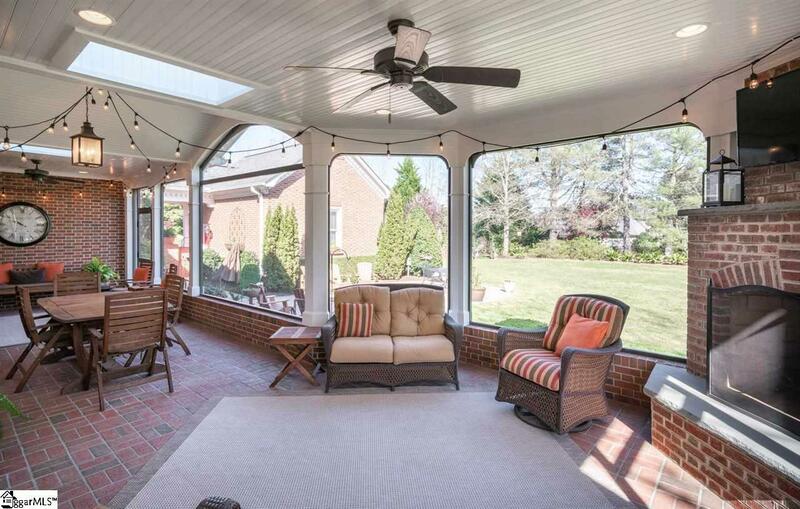 The home features not one but two recreational spaces. One is on the second floor and has a rear staircase. The second bonus room is on the third level and has access to two large walk in attic spaces. There is no lack of storage in this home! The Spring and summer gardens and grounds at the home are one of a kind! Be sure to walk the manicured paths and take in all the sights and sounds. 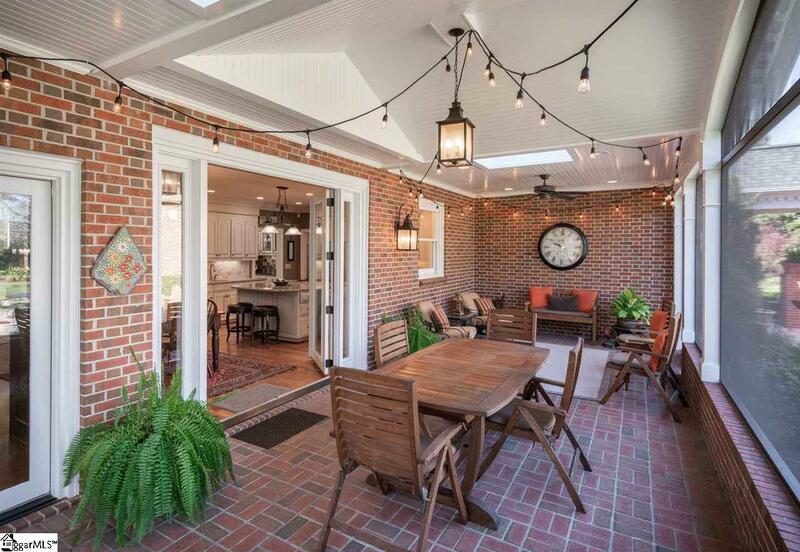 Kilgore Plantation is a Prestigious community and this home is truly one that will capture your attention and heart.